Times listed below are departure times. Please arrive at your bus stop 5 minutes prior to your estimated pickup time. Our bus operators do their best to maintain the schedule so that you may arrive at your destination safely and on time. On occasion, road construction, detours, inclement weather or traffic may put the bus behind schedule. Your patience and understanding is appreciated. 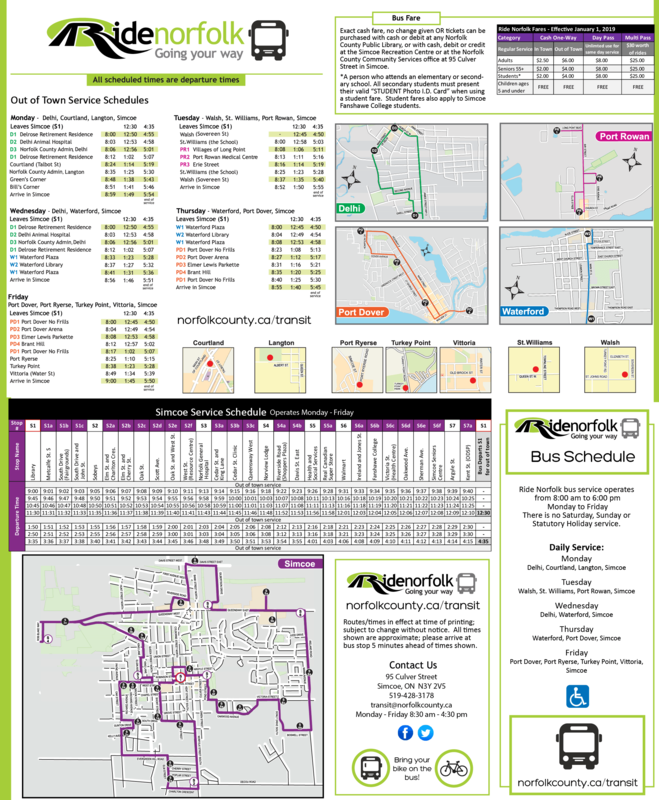 Ride Norfolk operates Monday – Friday from 8:00 am – 6:00 pm. There is no service on weekends, statutory holidays, or civic holidays.